Last week we had a heat wave: four days in a row of 40 degrees plus. Fortunately, we have an air conditioner, which we rarely use, but in weeks like this, it's essential relief. We dragged mattresses into the library and the whole family, including the dog and the rabbit, set up camp there, occasionally venturing out to watch TV under the fan in the next room or to pull some fruit and yoghurt or icypoles out of the fridge. At one point, Pa laments that progress is a mixed blessing. Railways and telegraph and kerosene and coal stoves are wonderful things to have, but folks get dependent on them… just like electricity and TV and the internet and air conditioners… And even though the Ingalls family was battling temperatures of 40 degrees below zero while we were suffering 40 degrees above,* we were still there, huddled in one room, trying to make it through one day at a time, just like they were. 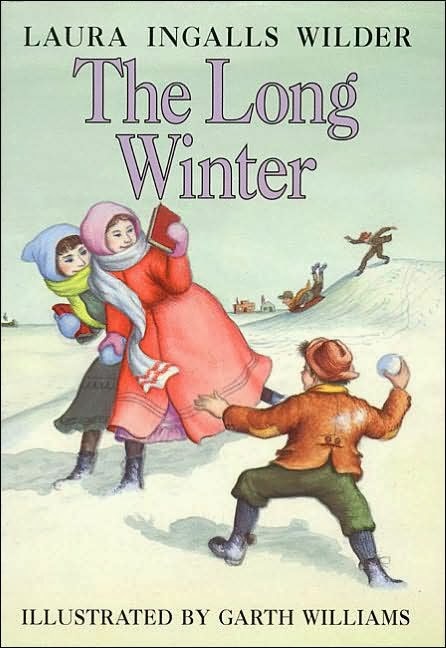 We finished The Long Winter yesterday. The cool change had come through, and we were thankful. It's time for the annual analysis of Wot I Read in the past year. I put a lot of work into creating some lovely pie charts, but I can't for the life of me insert them in the blog, so you'll just have to use your imaginations! About three-quarters of the books I read in 2013 were fiction. I seemed to read most of my non-fiction in the early part of the year, I'm not sure why. Slightly over half my reading was YA/children's literature; no surprises there! It is my job, after all... On the whole I whiz through kids' books at top speed and I often turn to children's books for relaxation, so I'm actually surprised the proportion isn't higher. Next time I might differentiate between children's and YA -- if I can! Hm, a fairly heavy female bias is evident here! Some of that might be attributable to the high percentage of kid lit I read, which is predominantly written by women… but blokes do write YA and kid lit, too. It might just be plain old female bias, I'm afraid. I do gravitate toward female authors, I'm not sure if that's something I should be apologising for! Most of the authors I know personally also happen to be women, and I do try to keep up with their work, maybe that contributes, too. Oh dear! Shamefully, I did not read a single book last year by a non-English speaking author (though some were written by Australian/US/UK authors with non-Anglo heritage). I think this is something I should actively try to address this year, because this statistic is kind of appalling. This year, I thought it might be interesting to note the sources of the books I read, and the results surprised me. I was slightly shocked to see how many second-hand books I buy! A high proportion of these would have come from the library book sale, at $1 each, but I'm also doing my best to keep my favourite second-hand bookshops afloat, and I never miss an opportunity to explore a new one. 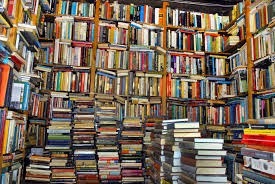 I thought the proportion of library reads would be higher. I read a lot of e-books early in the year, but since then Evie has pretty much taken possession of the Kindle and filled it up with books about cats, so I haven't read any e-books in the last few months at all. I borrowed more books than I expected -- but about ten of those were all from lovely Suzanne, in one glorious pile, so I almost count that as one single loan! The already-owned section consisted of the Narnia books, which I re-read in preparation for a panel at the Melbourne City Library, and I also read several books of commentary and analysis of CS Lewis's work in conjunction with them. This was a very satisfying experience, I really immersed myself in Narnia over a period of a few weeks and I very much enjoyed the deeper knowledge and appreciation I gained. I might try similar projects in the future I think, perhaps reading an author's biography in company with reading their works. I also read a biography of Rumer Godden this year and I think that has added to my experience of reading her fiction. So roll on 2014! I have a huge pile of new and used books already waiting by my bedside and I can't wait to plunge in.